Soil is an essential element for life on Earth. Without it, plants would not grow. It is a mixture of minerals, dead and living organisms, air and water. The more healthy a soil is the more wide diversity of bacteria. fungi and other organisms such as earthworms it will contain. Not only is it extremely important, but it is also a limited natural resource. This means that soil is renewable, but does so very slowly. It can take up to several hundred years for one inch of top soil to form (Soil Science Society of America). Due to its slow regeneration, it is very important that we do all we can to protect soil and prevent excessive erosion. What can we do to protect our soils? We can control erosion by creating barriers or terraces on steep slopes in our backyards and by planting native plants that will use its roots to bind to the soil and hold the soil together. We can control contamination by limiting the use of roundup in our own yards and lobby for organic farming to be used more frequently in the food industry. And we can teach others about why soil is so important and what they can do to conserve and protect it. 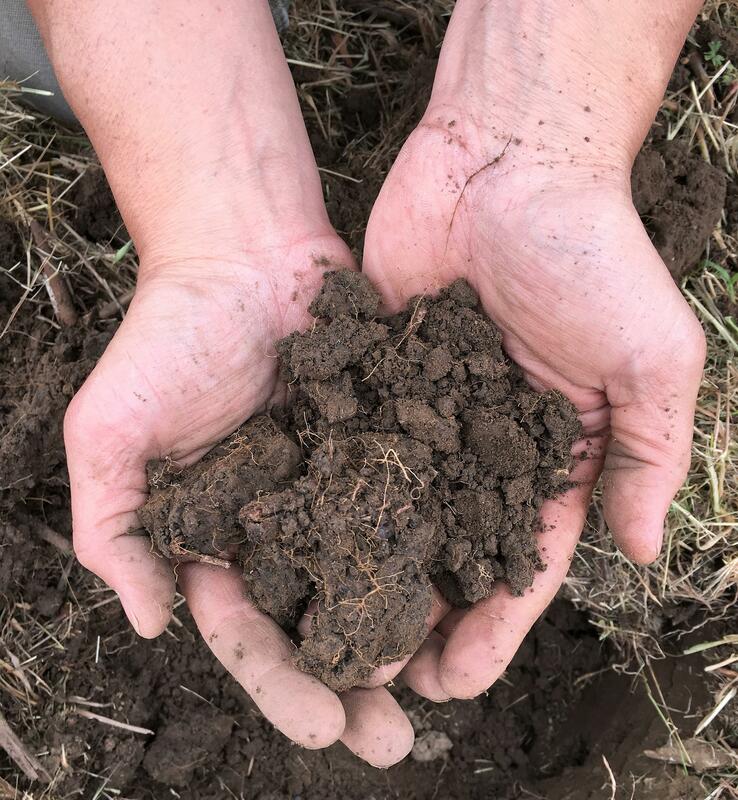 Napa Valley soils are generally very deep and have high potential productivity. To Learn more about major soil groups in the Napa Valley open the tabs below. The soils in the very southernmost part of the valley have lower production potential because they are limited by a strongly developed subsoil. They are used mainly for dryland pasture and for oats and hay. Maacama Mountain soils are moderately deep to very shallow over sandstone and shale, and are mainly used for rangeland, wildlife habitat, and watersheds. A few areas of moderately sloping soils are used for vineyards. Southwest soils are moderately deep over sandstone and shale or are shallow to a claypan. They are used for rangeland, pasture, and vineyards. Howell Mountain soils are moderately deep to shallow over rhyolitic tuff and basic igneous rock. They are used for timber, rangeland, wildlife habitat, and watersheds. Where this ridge broadens to a plateau near Angwin, some areas of soils are used for vineyards and orchards.The soils in the northern and eastern part of the county are moderately deep to shallow over sandstone, shale, and serpentine. They are used for rangeland, wildlife habitat, and watersheds. Click here for a 3-minute video overview of Napa's Soil and Geology. Learn more about the soils where you live at the NRCS Web Soil Survey. Click on WSS to get started. Follow this link to bring you to the Soil Science Society of America and learn more about soils.